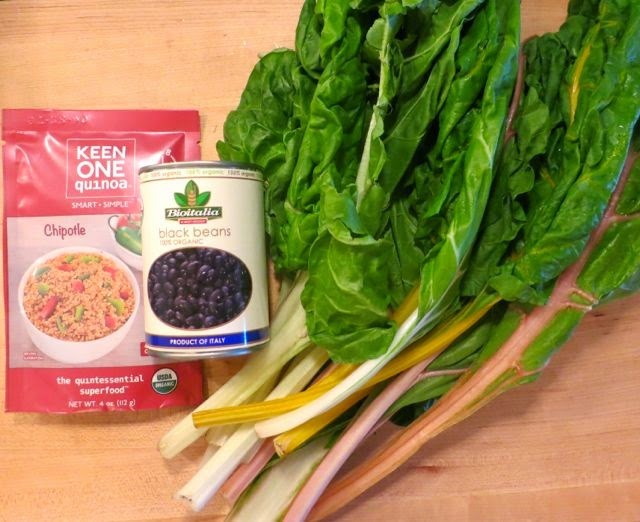 With some Swiss chard in the refrigerator, I embarked on a mission to make a super easy meal. 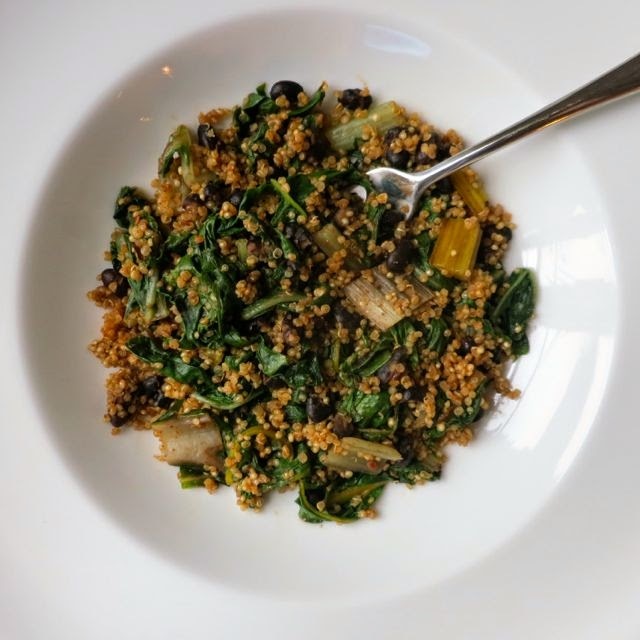 Let's see...Swiss chard, black beans, and quinoa -- perfect! 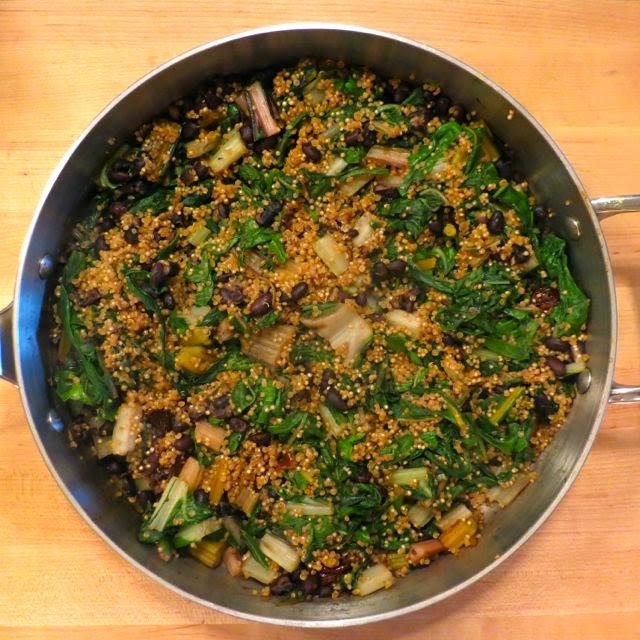 I used a package of Keen One Quinoa in Chipotle flavor, mixed it with some Swiss chard and beans and made a quick, tasty meal. What I love about the Keen One quinoa packages is that they already have spices included so you don't have to add any. If you use plain quinoa, you will need to add more seasoning to this dish. Try it for yourself! Heat 1 tsp oil on medium heat. Saute Swiss chard in oil for 2 minutes. Add chipotle peppers in sauce and aleppo pepper and cook another 6 minutes. Add black beans and cook another 2 minutes. Add quinoa and stir, cooking for another 4 minutes. Stir regularly. Serve warm. Full Disclosure: Although the quinoa was provided to me for free to review, that in no way influenced my veracious opinion. I will try that in my kitchen.